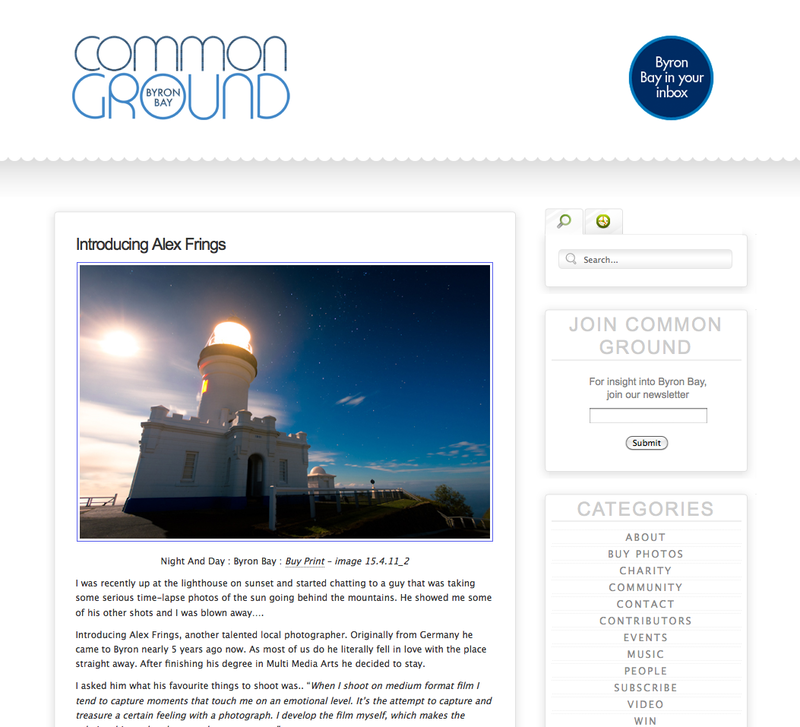 The guys from Common Ground Byron Bay did a feature on my photography. Go check it out… there is a ton of other cool stuff on their website as well. Click here to read the article.